The Francis Howell School district is scrambling to accommodate St. Louis County's Normandy School students after a recent State Supreme Court ruling that students from unaccredited schools can be bussed to accredited schools in the same or adjacent counties. 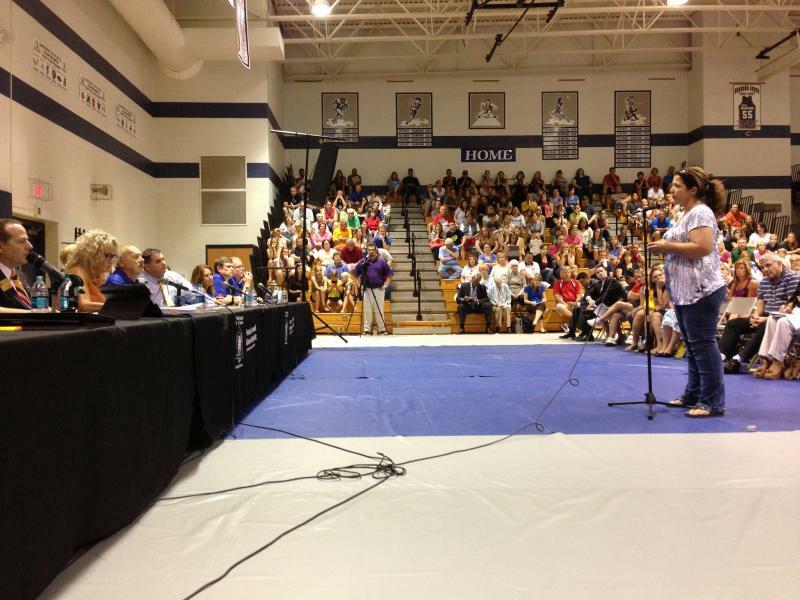 Nearly three thousand parents attended a Francis Howell forum Thursday night to voice their concerns. For almost three hours, parents raised a variety of issues - how it'll be paid for, how it will impact test scores and accreditation - but there was one concern that dwarfed all the others: security. "Is there going to be metal detectors? I'm no expert, but we aren't talking about the Normandy School district losing accreditation because of their buildings, their structures, or their teachers," Beth Cirami, a Francis Howell parent, said. "We are talking about violent behavior that is (going to be) coming in with my first grader." Listen to Cirami voice her concerns. 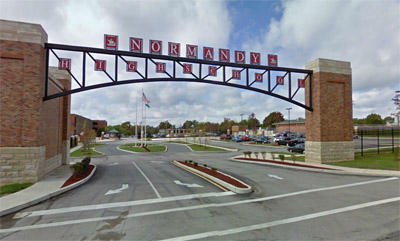 Normandy schools are in North County, and their students are predominantly black. The Francis Howell district is mostly white. Many parents said they don't feel like their children will be safe when Normandy kids come to their schools. But Renee Blake, who says she's lived in the district for more than ten years, said she was appalled by the reaction from the crowd -- and that it reminded her of desegregation in the 50s. "I was a product of busing, I was a product of going to schools with the majority of white people," she said. "I have a Master's degree in Business Administration, I am not a failing student." Listen to Blake discuss her disappointment in the crowd. Later, a man at the mic rebutted that the outcry isn't about race. But shrouded by the anonymity of the crowd, another man yelled out "No, it's about trash." Jamila Roberson is a mom to two middle school girls in the Normandy district. She took the microphone and faced the crowd. "Everything that you see on the news, I go through that every day," Roberson said. "I don't want to have to raise my kids to go through the same things, and I hate that you guys are judging these kids. Maybe the kids need this change." With tears in her eyes and a quivering voice, she told the crowd that she works every day as a single mother. After her speech, a teacher gave her a hug and told her that her kids would be welcomed. She told a couple of reporters that she hoped her children wouldn’t watch the news that night. She said she didn't want them to see the crowd's anger. In terms of solid answers that the Board of Education could give, there weren't many. No, they don't know how many kids are coming, and they won't until August 2. No, they don't know which schools the new students will go to. No, there is no plan for metal detectors. Yes, students coming over from Normandy will count toward Francis Howell’s test scores. Yes, the unaccredited school will be covering the cost for the student coming over. Answers did little to satiate the crowd. Few questions were asked by the parents, though many statements were made. State lawmakers from the region sat in the front row, and took a lashing from numerous parents (and board members) for allowing the busing to occur. Rep. Mark Parkinson has called for a special session, but the governor has expressed no interest. Throughout the proceeding, a couple of high school students came up to the microphone. "We haven't seen a lot of students here today," one of the seniors said. "But we would be happy to have these new students at our school. It would be a great opportunity for these kids. There have been a lot of assumptions, but I don't think we can assume that these Normandy kids are going to cause a lot of problems." Listen to the entire forum. The Missouri Board of Education has voted unanimously to strip the accreditation from another St. Louis-area school district. Normandy schools had been under provisional accreditation for the past year, but had been “on thin ice,” in the words of State Board Member Peter Herschend (R, Branson). He says the district has again failed to meet the minimum nine out of 14 performance standards required for accreditation. 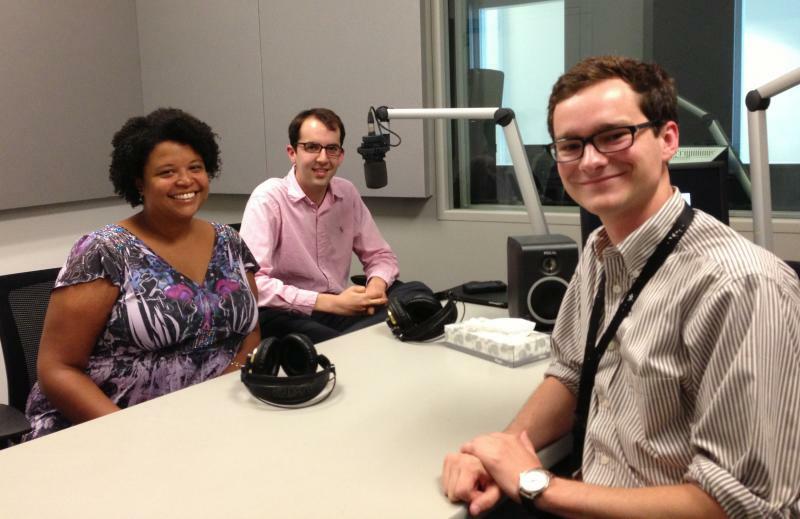 Erin Williams, St. Louis Public Radio.